In 1938, Rudy Ruana began making knives in a small Montana shop. His family members are still hand-crafting Ruana Knives in the same shop today. Having left the decimated family farm in North Dakota and looking for greener pastures, 1938 found Rudy Ruana in the small community of Bonner, Montana working as a mechanic and welder at a small garage. 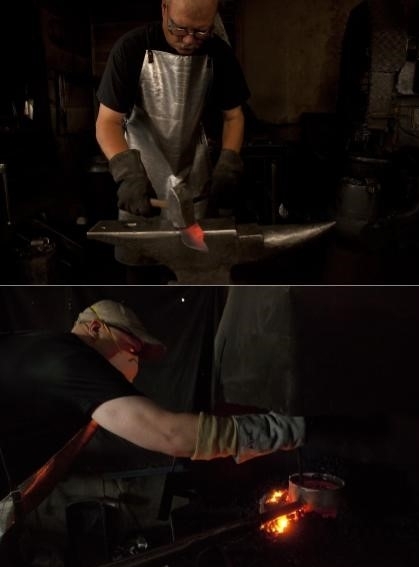 In order to help his family survive during the post depression era, Ruana began to make a few knives on the side—a skill that originated in the 1920’s when he was a farrier in the cavalry, making his first knives for a couple of Native Americans in need of a better tool for skinning horses. 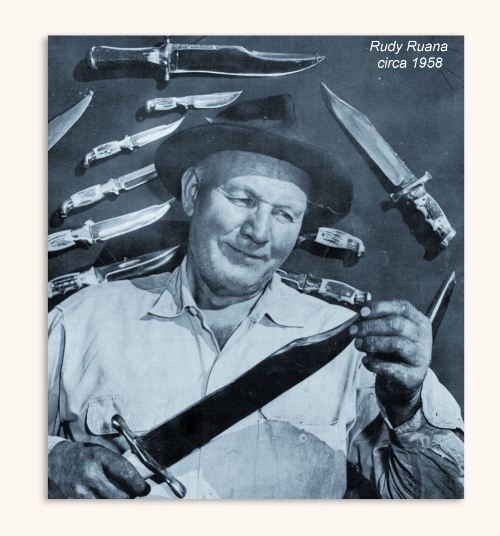 As time passed and the reputation of Ruana’s knives grew, demand became so great that Rudy began making knives full time in 1952, calling his business Ruana Knife Works. In 1964 Ruana’s son-in-law, Vic Hangas left a job with a phone company and put his artistic talents to work, joining Ruana in the business. Hangas’ son Mark began working at the company in 1976. In 1983, Ruana retired at the age of 80 and sold the business to the Hangas family. In 1984 Mike Hangas joined his brother and Dad and the business was incorporated. Rudy Ruana passed away in April of 1986. He was honored by being posthumously inducted into the American Bladesmith Society Hall of Fame in 1997 and BLADE Magazine’s Cutlery Hall of Fame in 2002. As of 2018, Vic, Mark and Mike Hangas have combined Ruana Knife making experience in excess of 130 years. In an era of outsourcing and diminishing Made in America products, Ruana Knives are still handcrafted in the U. S. A. with an emphasis on quality over quantity. While a few things have changed over the years, we are still using the same methods and much of the same equipment Rudy (our father-in-law/grandfather) used. We like to have fun and enjoy all of the great things living in Montana has to offer. We work hard but also try to not take ourselves too seriously, and run our business with an emphasis on the Golden Rule. We try to give our best effort on a daily basis while maintaining Rudy Ruana’s work ethic and create knives that are usable, durable, and collectible.